Email us at: contact@retrocraftdesign.com. We can be reached by phone at 978-254-2509. 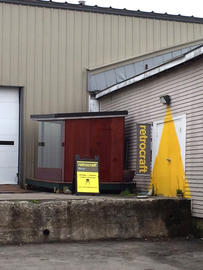 Our showroom and studio is located at 152 Commonwealth Ave. in West Concord, MA. We welcome visitors. See the map and photos below to help locate us. "152" refers to a complex of buildings that is set back of the parking lot on Commonwealth Ave. (just before the gas station). 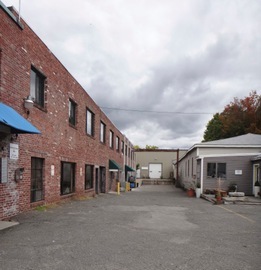 Our entrance is past Nashoba Bakery at the end of the alley, on the loading dock. Thurs, Fri and Sat, 11 am to 4 pm; and by appointment Thurs evenings. 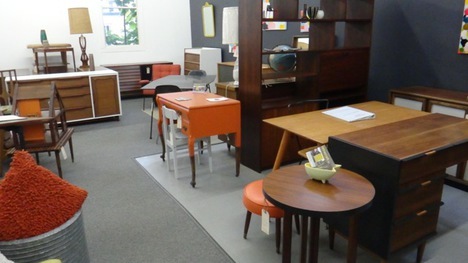 We are also often in the showroom Mon thru Wed by appointment or chance. Call 978-254-2509 for an appointment. When you sign up for our email newsletter, you'll be the first to see our new offerings. Our monthly email features pics of our latest pieces for purchase (and we will never share your emails). Be the first to see our newest offerings!